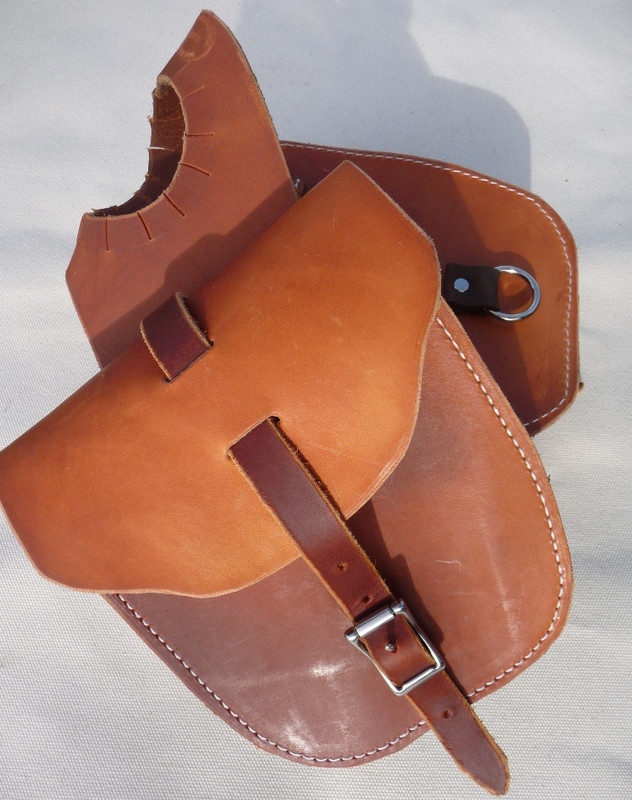 This Double-Pouch Leather Horn Bag is made out of oiled 10 oz. skirting leather. The hardware is stainless steel. You can comfortably fit a water bottle & sandwich or anything else you need for a day ride inside these sturdy bags. This Horn Bag is handmade in our own shop. We can customize the size upon request. An additional charge may occur.